The Kemper KSP4 7" Dual-End Ribbon Tool has a loop on each end. 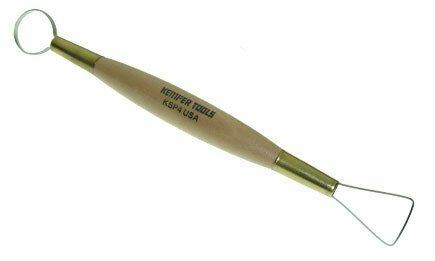 Kemper KSP Special Dual-End Ribbon Tools are designed for medium duty pottery and sculpture work. 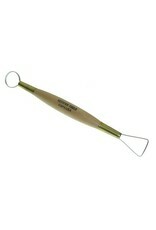 These clay sculpting tools have sharpened stainless steel ribbon ends attached to hardwood handles with heavy brass ferrules. The total length is approximately 7”.